Wow so Christmas is done for another year and now we are looking forward to celebrating New Years Eve already. I have to say I am very confused by what day it actually is today but am very glad to still have another 8 days of holiday left until I go back to work on the 5th January. So how did you all spend your time over Christmas Day and Boxing Day? Me and the Aussie spent Christmas day with our lovely American Friends (who would like to be referred to as “the Americans” :-)) and their gorgeous puppy Rosie, she is officially my favourite dog in Australia! During the day we pretty much did the following, swim for a bit with some champagne, eat a delicious lunch, swim for a bit with some wine, eat dessert (pumpkin bread pudding with maple syrup and brandy cream which was a-m-a-z-i-n-g), learnt how to play carcassone, went for another swim, ate second dessert (more bread pudding) and finished playing carcassone. Life in the tropics and on Christmas day is tough as you can imagine!!! We had some steak on the BBQ for lunch with some salads I had a go at creating and quite enjoyed sampling. Cooking on the BBQ at Christmas is, I believe, mandatory. I am a bit of a throw some leaves and tomoatoes etc in a bowl kind of salad girl at home so it was fun to give some more fancy salads a try. In the evening I FaceTimed my family who were at my Brothers for the day, which I loved as I got to enjoy some of the usual hustle and bustle of Christmas Day with them. On Boxing Day the Aussie’s brother came over for lunch and I put together a traditional Christmas dinner that I would have had my family. It was a bit on the warm side cooking the dinner and I had commented to the Aussie how much I was missing having a BBQ because there wasn’t enough room in the oven to cook everything I wanted to cook for lunch so it had to be cooked in stages (complete with my terrible calculation skills when trying to work out how to get everything cooked on time). The Aussie’s brother then turned up with a BBQ as our Christmas present this year! Such a cool idea and one that I am very pleased about receiving. It’s yellow too which I am sure is secretly the Aussie’s favourite colour! I was very lucky with my gifts which included money and some tea towels to remind me of home from my parents (already bought some new books! ), some camera equipment from the Aussie (I now have no excuse for not getting the DSLR out)and a beautiful penguin ornament from my beautiful friends in Somerset. I’m also really just enjoying relaxing and having a break from anything strenuous! Only 362 days until Christmas!!! Today I am taking part in the #fireworkpeople blog hop. 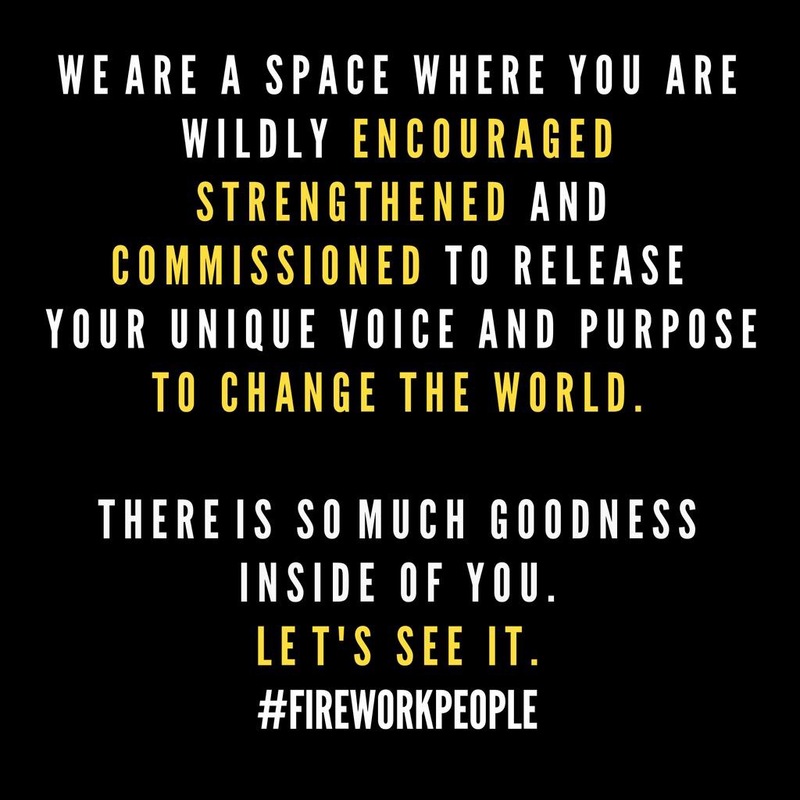 The #fireworkpeople is a community for creatives, dreamers and entrepreneurs who want to change the world which launched on Facebook from a Twitter Party on Tuesday nights at 9pm. You can see what everyone else in the blog hop has posted here. A lot of people don’t live where they were brought up or near their family like me and it made me wonder where you call home? Even though I am English and living in Australia I do still consider England to be my home, especially my parents house where there are some of my favourite people and our animals. When I visited England for two weeks in September I described it to people as going home and it really did feel like that when I got there and it was a wrench to leave my home, family and friends. However I do also consider Darwin to be my home and I had the same going home feeling when I arrived back in Darwin as when I arrived home in England. I wonder if it is because this is where I live with the Aussie? Thinking about it all, I think that the saying “Home is where the heart is” is very true, for me at least. England has my parents, extended family and my best friends and when I saw them all even for that short time it was as if I hadn’t been away. We started up where we last left of by text, FaceTime, email or What’s App message and carried on as if I had actually seen them last week in person, it felt exactly the same as it was before I moved to Darwin. Being back in Australia has been the same although I do miss spending time everyone in England in person, especially with these god awful time zones! Arriving back in Darwin though made me realise what I have here as well. I’ve got a great job, lovely apartment, awesome friends and always seem to be busy. Every week in Darwin we seem to meet new people as well and they always make an impact upon you even if it is for a short time. So I think that the reality is that you can have several places that you call home and will always love to visit or return to each of them because of what that place means to you. The fact that you miss people and a place means that they have a hold over you and will always be special to you. So yes I believe there is definitely no place like home but I think that home is whatever you need it to be. At least for the time being anyway! So I have finished my adventuring for a little while. In the space of 3 and a bit weeks I traveled from Darwin to Somerset in the UK to spend two fantastic weeks with my family, attend one of my best friends weddings, catch up with my other great friends from home and work and catch up with my extended family which I loved. I arrived back in Darwin 2 days after leaving the UK, due to the joy of time zones, and after a short day at home was back at work, for 2 days, before jetting off to Melbourne for a girlie weekend with some of my great friends from Darwin! We had a brilliant time in Melbourne and I will write a separate post about our visit because we did and saw lots and I fell in love with the city just a little bit. Anyway it is lovely being back in Darwin and sleeping in my own bed but again I feel the pull of the UK and everyone who I love being there whilst I am so far away. I’m luckily to have two “homes” with wonderful people I care about a lot in both places and everyone is so good at keeping in contact it does feel a bit like I have never been away when I am when I am home. After a short break from adventuring it will be time to plan the next one – until then here is a video of a penguin being tickled, you are welcome!!! The Glastonbury Festival is not the only great thing about the town of Glastobury, there is also the Tor and Abbey as well which are well worth a trip if you want to indulge in a bit of west country history. When the Aussie visited me in the UK in 2011 we did a bit of a UK road trip which included Glastonbury and I think its fair to say he really enjoyed his visit to Glastonbury. Glastonbury Abbey is situated on 36 acres of beautiful land. It is one of England’s earliest Abbeys and is a really interesting place to visit because of the history involved. You can read about the history of the Abbey here. It is said that King Arthur is buried at the Abbey and it is believed that there is a connection to Avalon at the Abbey as well. The old kitchen still exists in the grounds but much of the actual Abbey is now in ruins as you will see from my pictures. Even from the ruins though you can see how big and impressive the Abbey would have been. I think that every time I have visited the Abbey it has been raining which is always interesting when there is no roof but it didn’t dampen the visit 😉 and I still found it really interesting to wander around. The grounds are also very nicely maintained so worth spending the time to take a stroll through. The Tor is full of history and according to the National Trust, excavations at the top of the Tor have revealed the plans of two superimposed churches of St Michael, of which only a 15th-century tower remains. Glastonbury Tor is known as being one of the most spiritual sites in the country. Its pagan beliefs are still very much celebrated. When I was at primary school I remember visiting and walking all the way up to the top of the Tor which is 525ft high. Once you reach the top of the Tor, you will on a good day have views of beautiful Somerset, Dorset, Wiltshire and Wales. Historically Abbot Richard Whiting was executed here in 1549 on the orders of Thomas Cromwell, the first Earl of Essex. As I will shortly returning to Darwin this is the end of my Somerset series but if you are ever in the UK and get the opportunity you really should pay Somerset a visit!